The Earth has already warmed about 1℃ since the 19th century and it's on track to rise another degree. This second degree would push stable civilization to the very brink. In its recent report, the UN Intergovernmental Panel on Climate Change called for "urgent and unprecedented changes" to reduce greenhouse gas emissions (GHGs) so that we avoid reaching 2℃. While 1℃ may sound incremental, the action required to stop it is not. Urbanists, engineers, architects, designers and developers —the built environment industries —know this. 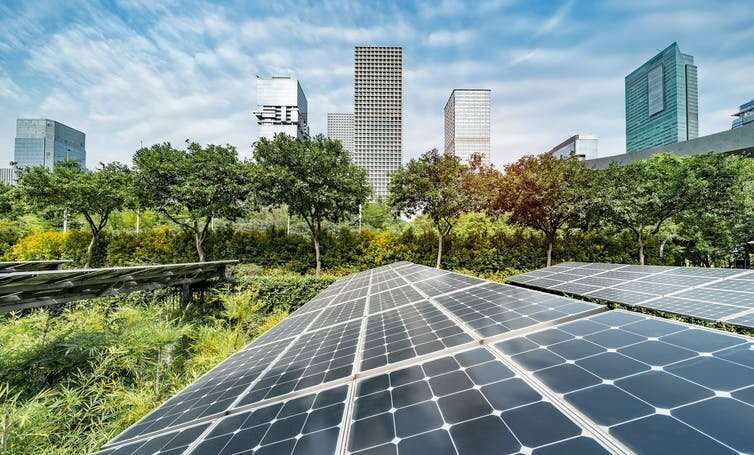 The industry created "green building" more than 30 years ago to prove that buildings can use less energy, store energy and even generate their own energy on-site. We know it can be done, but it needs policy, regulation and incentives in order for it to become business as usual. To move ideas like this forward, Architecture2030.org, a U.S.-based non-governmental organization, recently introduced the first national and international "Zero Code" building standard for new construction. It focuses on designing buildings with high energy efficiency that use no fossil fuels in their operation. The organization is working in California and China to put the policy into practice. Although the game plan exists, adoption is slow. Existing moves to reduce GHG emissions are voluntary and there is no penalty for falling short on performance. It's hard to call this a plan for transformation. 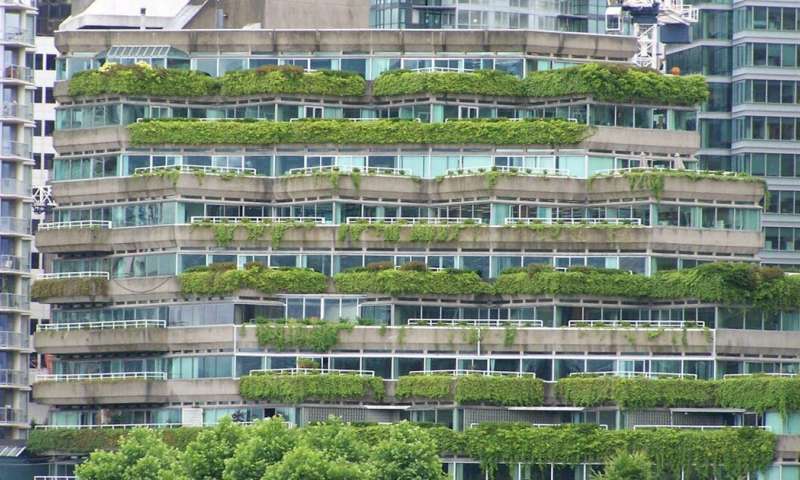 In North America, most green buildings are judged by a family of certification systems called LEED (Leadership in Energy and Environmental Design). But LEED's actual impact on GHG emissions is uncertain. We found only one peer-reviewed study showing that LEED projects reduce GHG emissions. In contrast, dozens of articles conclude LEED is primarily a "public relations tool" that offers the lure of "measurable publicity" and administrative convenience. The most recent version of LEED (v4) evaluates a new building's energy performance after construction is completed. (Otherwise, the energy performance of a building is evaluated on a predictive model based on the building's design.) This is a move in the right direction: energy performance should be measured in operating buildings. But there's a catch. For new construction, it's optional. If professors gave students an A at the beginning of the semester, with an option to have their performance evaluated at the end of the semester, how many would stick with the A? What effect would this have on learning? The performance of LEED-certified buildings (and those that are not yet certified) are evaluated against a proprietary dataset and given an "Arc score." This process anchors our progress to a baseline number, not towards constructing unprecedented sustainable buildings. Canada has said it will have "net-zero energy-ready" building codes in place by 2030. Here "ready" means that buildings may continue to use fossil fuels, but will be equipped with infrastructure to switch to on-site renewables. British Columbia is already piloting a subsidy program for the construction of 15 to 20 of these buildings. We have the capacity to reduce energy-related C02 emissions from buildings to zero —or close to it. But we're still far from being able back up the C40 claim that cities "are taking bold climate action, leading the way towards a healthier and more sustainable future." Big Oil is now being increasingly being hit with "climate liability lawsuits." If we settle for baby steps in terms of GHG emissions, the built environment industries will be no different.